Aggressive Negotiations: Issue 024 discusses the importance of the inclusion of Saw Gerrera in Rogue One, what led to this, and what it might mean for future storytelling. Interestingly enough, they actually don’t talk too much about Saw the character or the Star Wars: The Clone Wars episodes he was in. It’s mainly focused on the decision of using him rather than him as a character. Assembly of Geeks: Ghostbusters Reboot, Thrawn Reborn & Indy Revitalized starts with their thoughts on the new Ghostbusters film, they cover some news, then head into SWCE and the announcement of Thrawn, and wrap up with Indy, The Secret Life of Pets, and Stranger Things. Good episode. Here is this week’s Podcasts in Review. Warning, Star Wars Rebels spoilers below. Aggressive Negotiations: Issue 009 is the second part of their Breaking Anakin discussion. They talk about why Yoda should have trained Anakin, Anakin living a lie, whether giving him a padawan was a good idea, Padme’s role in Anakin’s fall, and whether Obi-Wan was to blame. Great discussion. Blast Points: Episode 13 is devoted to the Star Wars Rebels finale “Twilight of the Apprentice.” They talk about the great use of Maul, why Yoda sent Ezra to Malachor, the look of Vader’s face, Kanan being blind, and where the series will go from here. Great mini-episode with fun discussion and some humor. Bombad Radio: Episode 206 covers D23 Expo and all the Star Wars things that were there and the experience in general as Steve was there and he’s one of the special guests for the episode. They also talk about Disney Infinity 3.0, Kingdom of Hearts, Star Wars: Battlefront, Rogue One news, Star Wars Land, the Avatar land stuff, and Toy Story Land. Good episode to round out your D23 dosage. Coffee With Kenobi: Coffee Chat with Dennis Keithly is an interesting episode as they focus on their earliest memories of Star Wars, seeing the films for the first time, seeing the special editions, and finally the prequels. It’s a pretty intriguing discussion, worth checking out. Big Beautiful Podcast: Episode 23 has an interview with Star Wars author Tom Angleberger who wrote some of the Star Wars origami books. 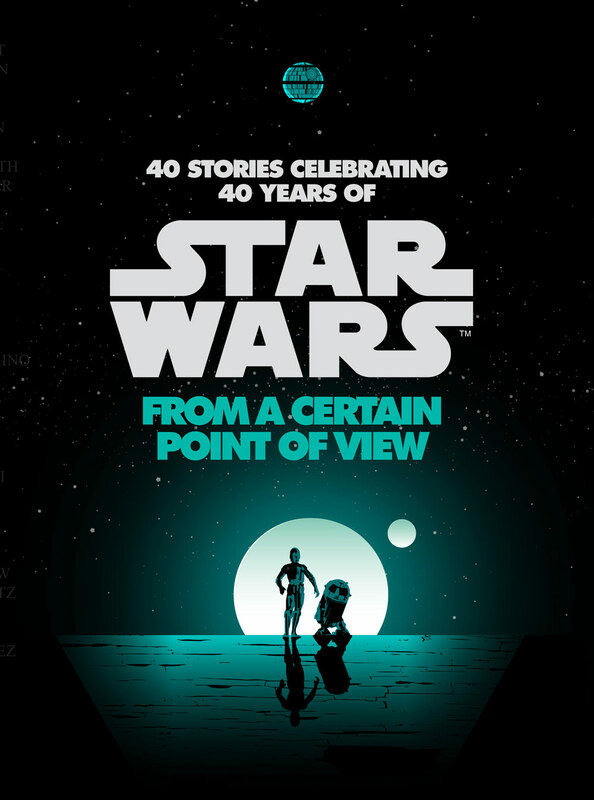 He talks about where his ideas come from, how Darth Paper came about, defending the Ewoks, writing Return of the Jedi with a different spin, a victorian flare, and what the other authors are up to. It’s a neat interview and worth checking out as it sheds light on books that don’t get the most attention on major Star Wars outlets. Bombad Radio: Episode 204 kicks off with a little news, then they head into their interview with voice actors Ellen McLain and John Patrick Lowrie. They talk about their early work, getting into the business, working on games like Portal, Fear, Team Fortress, and even writing a novel. It’s a fun interview and worth checking out. Bombad Radio: Episode 198 is hosted by Jeremiah and James as they cover topics like Rogue One and an X-Wing being launched into space. Then they break to Jason and a Star Wars Celebration Anaheim recap he did while at Anaheim with some friends. It’s a little noisy, and sometimes a lot noisy. It also goes on for some length as they ambitiously try to cover everything. Then they switch back to James and Jeremiah for more Star Wars discussion before Jeremiah switches over and talks with Jason about the Seattle Star Wars costume exhibit. Lastly they got back to James and Jeremiah for a little speculation on when we might see a full trailer for The Force Awakens. The episode covers a lot, but it might not be to everyone’s liking. Fly Casual: Episode 40 is their Memorial Day episode featuring some extra friends as they all gather together in person for the episode. It leads to some extra goofing around, lots of jovialness, and even some Star Wars. This is their news and toy report episode so they do touch on some Star Wars news and they have a short collecting segment that’s actually pretty cool. Here is this week’s Podcasts in Review. I’m putting this one out a day early since I’m heading out to Star Wars Celebration. Enjoy! Bombad Radio: Episode 193 features Jeremiah and guests Jesse and Amanda as they discuss Neil Blomkamp and his Aliens sequel. They also talk about District 9, Prometheus, Alien 3, Alien vs. Predator and Alien vs. Predator: Requiem. They had a good topic for the episode, sadly it didn’t turn out the best. The audio is very weird (which Jeremiah apologizes for) which makes it kind of hard to listen to and enjoy. While I didn’t really agree a whole lot with their thoughts on the movies, I did appreciate their discussions of the comics as I haven’t checked those out. Coffee With Kenobi: Episode #34 starts with some Rogue One discussion, a dose from the Bearded Trio, and then segues into their main topic with is a very fun conversation with the hosts of Skywalking Through Neverland. Sarah and Richard talk about how they met, how they got started in podcasting, and the extents of their Star Wars fandom. The episode wraps up with some listener feedback, and puts a bow on another great episode.